LOS ANGELES, CA / ACCESSWIRE / May 9, 2017 / The founders of Genucel by Chamonix, an effective skin care formula that is formulated to target the delicate skin around the eyes, are pleased to announce the launch of GenucelFAQ.com. The website is designed to answer everyone’s most common questions about the product. To check out the new GenucelFAQ.com site and some of the most popular questions and in-depth answers, please visit http://genucelfaq.com/. As a company spokesperson noted, the founders of Genucel by Chamonix understand that while many women want to give the revolutionary skin care product a try, they may have questions about its ingredient list or how it works. This knowledge inspired them to create and launch GenucelFAQ.com, so their valued customers can get the in-depth answers they are seeking about the skin care treatment. Even though the new site was just recently launched, it is already getting a lot of positive attention from people who have read some of the educational answers. For example, one of the questions, "What is Eyeseryl," has been especially popular with visitors to GenucelFAQ.com. As the answer notes, Eyeseryl is also known as Acetyl Tetrapeptide-5, a tetrapeptide made by Lipotec which helps with the appearance of under eye puffiness and dark circles. Eyeseryl is added to skin care treatment packages, including Genucel. "Genucel contains 2% Eyeseryl, which is double the clinical concentration. Genucel's Immediate Effects also utilizes Relaxoderm Technology, which gives users a result that they can see changing right before their eyes," the answer noted. Another FAQ that appears on the new site inquires about the ingredients that are included in Genucel. In addition to Eyeseryl, the reply noted that Genucel utilizes Plant Stem Cell Technology to treat the appearance of under eye bags and puffiness. The main ingredient in Genucel is PhytoCellTec Malus Domestica, which is made from a rare species of Swiss apples. 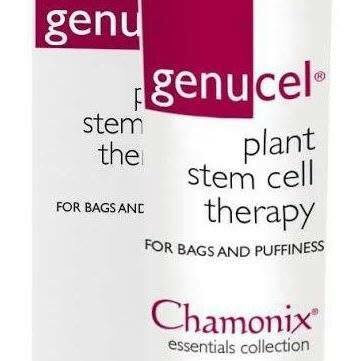 "Other ingredients in Genucel include: Algae Extract, Green Tea Leaf Extract, Hydrolyzed (Marine) Collagen, and Goji Berry Extract, among others," the reply noted, adding that Algae Extract provides skin nourishment through its vitamins and minerals, and it is used to hydrate the skin and protect it from antioxidant stress. Genucel by Chamonix utilizes state-of-the-art ingredients and technology to reduce the appearance of under eye bags and puffiness. To find out more, visit https://www.genucel.com/.